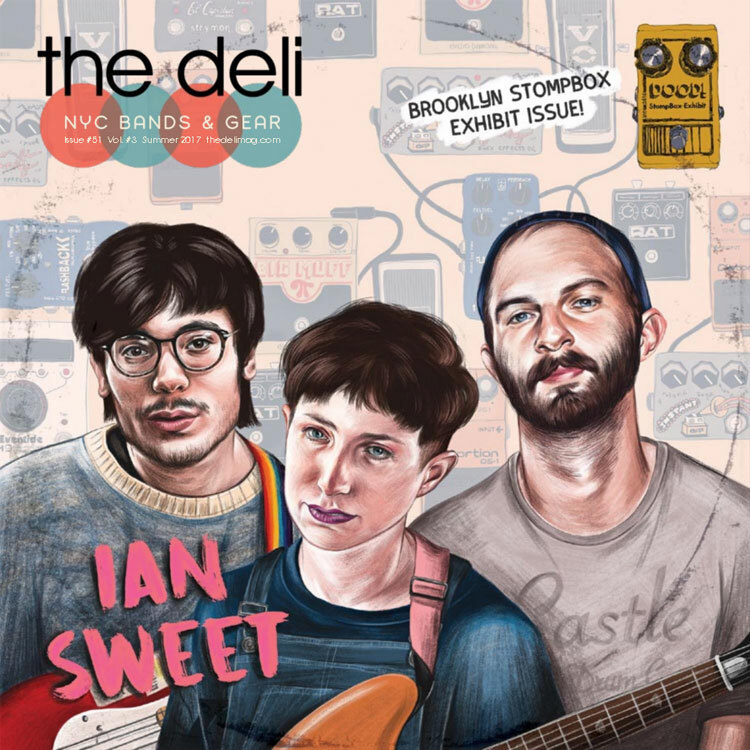 Issue #51 of The Deli is out - Ian Sweet + BK Stompbox Exhibit! The new issue of The Deli NYC is available for online reading here! On the cover, fabulous math-dream-indie-rockers Ian Sweet (who are headed on tour with Frankie Cosmos!). Check out the video of our favorite single "#23" streaming below. Oh and hey! It's a Brooklyn Stompbox Exhibit issue! If you love guitar pedals you don't want to miss it, it's chock full of them, including an interview with pedal guru Mike Matthews of NYC's Electro_Harmonix! The print version of it will hit the streets of NYC on September 1st!